Ready, set, sparkle! These eye-catching earrings will get you noticed. 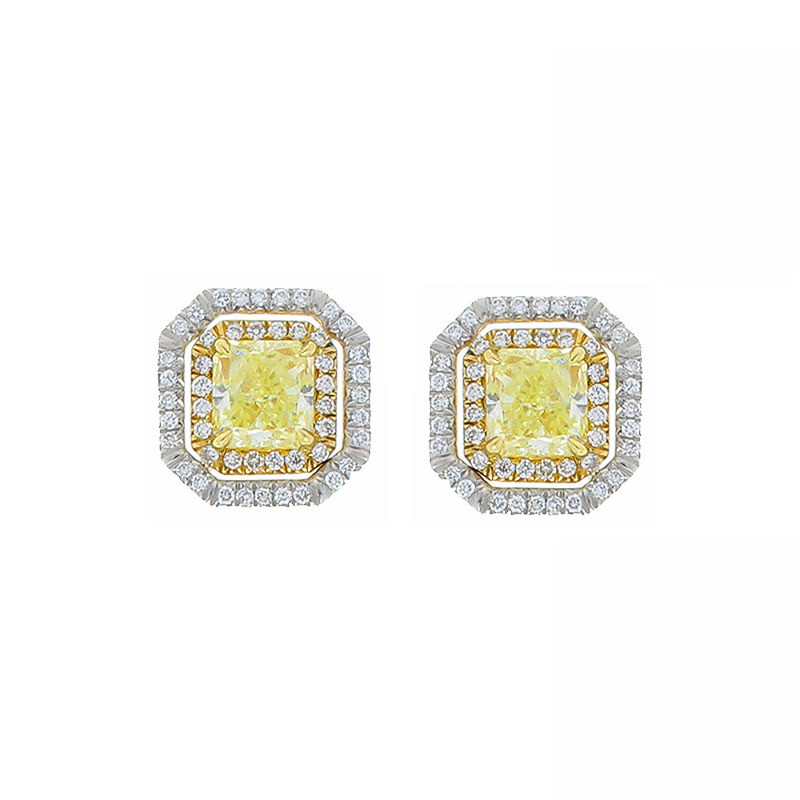 Timeless and elegant, these fashionable earrings feature 2.0 carat total illuminating radiant cut fancy light yellow diamonds in the center, surrounded by two glittering halos of diamonds that total 0.48 carat. Guess what? The larger halo is removable, so you have wear it with a single or a double frame. The earrings are skillfully crafted of luxurious platinum and 18 Karat yellow gold which means they look and feel amazing! Adding this exceptional pair of earrings is the perfect way to accessorize anything you wear.